Doctor, businesswoman, journalist, broadcaster and writer, Miriam Stoppard has two sons, two stepsons, two stepdaughters and eleven grandchildren. She obtained the degrees of M.B., B.S., M.D., M.R.C.P., while studying and practising medicine at London, Newcastle and Bristol Universities. In 1998 she was elected a Fellow of the Royal College of Physicians, London. 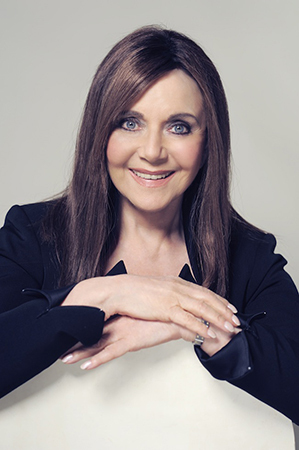 Dr. Miriam Stoppard has been at the forefront of the revolution in health information since she began her writing and broadcasting career in the early 1970s. After seven years practising medicine and specialising in dermatology she entered the pharmaceutical industry eventually holding the posts of Research Director and Managing Director. Later she developed a career in television, which spanned over 18 years, and since that time she has become well-known to millions all over the world as a leading authority on parenting, child care, women’s health, and many other crucial health issues. To date Miriam has published more than eighty books and sold in excess of 25 million copies worldwide on conception, pregnancy and birth, childcare and development, women’s and family health. She currently writes a daily page for the Daily Mirror. Miriam is a medical doctor and Fellow of the Royal College of Physicians. In 2003 Miriam set up Miriam Stoppard Lifetime Ltd, which globally licences and markets the brand. In addition to two Honorary Doctorates of Science, in 2004 she received an Honorary Doctorate of Law. In November 2007 Bounty Mums voted Miriam the UK’s No.1 parenting guru. In November 2008 Miriam received the prestigious Stonewall Journalist of the Year award. And to most recently in January 2010 Miriam received an OBE in the New Year’s Honour List for her services to healthcare and charity.